Middle East (Conversation) – For years, Kurdish fighters have been partners to the U.S. in the Middle East. From 2003 to 2017, they helped overthrow the regime of Saddam Hussein, battled al-Qaida and pushed the Islamic State out of northern Iraq and Syria. In recent weeks, some of these same fierce fighters have been violently clashing with Turkish troops in the Syrian Kurdish enclave of Afrin. In January, Turkish president Recep Erdoğan launched an aggressive bombing campaign called “Operation Olive Branch,” intended to clear Kurds from the city. Reports of chemical weapons and a high civilian death toll are now emerging from the conflict zone. Hundreds of thousands of people have been displaced. 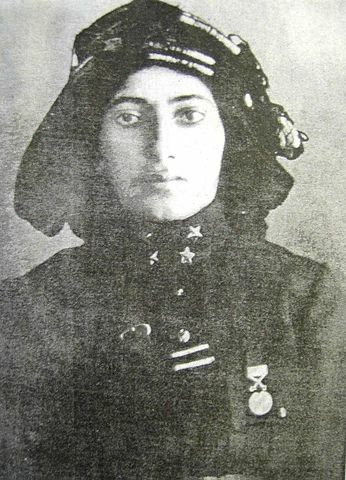 In all of these battles, Kurdish women have fought on the front lines, as they have done since the 19th-century Kurdish commander Kara Fatma led an Ottoman battalion of 700 men and 43 women. That was unusual for the period – but, then again, Kurdish women have long been exceptions in the mostly conservative Middle East. So who, exactly, are the Kurds? And why do Kurdish women enjoy significantly more freedoms than many other Muslim women in the Middle East? Kurdistan, where I was born, is among the largest nations in the world without a state. Around 35 million Kurds inhabit a mountainous zone straddling Turkey, Iran, Iraq, Syria and Armenia. After World War I, a treaty between Britain and France, called the Sykes-Picot Agreement, drew arbitrary borders across the Middle East, creating colonial protectorate states. The partition again fragmented the Kurds, this time across four countries: modern-day Turkey, Iran, Iraq and Syria. The Kurds have been fighting for their sovereignty ever since. In recent decades, they have succeeded in establishing autonomously governed regions within Iraq and Syria. But in Iran and Turkey, the Kurds continue their armed struggle, which has led both countries to view this ethnic minority as a terrorist threat and to legally repress Kurdish populations. This setup has put Kurdistan – domestically a rather peaceable, prosperous place with significant oil reserves – squarely in the center of a geopolitical quagmire. The U.S. backs the Kurds in Syria, Iraq and Iran, where they’re incredibly effective in battling the Islamic State. But Turkey – a U.S. ally – sees the armed Kurds in Syria as an extension of the rebel Kurdistan Workers’ Party, or PKK, which has been fighting for Kurdish autonomy in Turkey since the 1980s. The Marxist-Leninist PKK, founded in 1978, may be an enemy of the Turkish state, but it also happens to be one of the most feminist movements in the Middle East. The group held its first congress on women’s rights in 1987, in which PKK co-founder Sakine Cansiz – who was later shot dead in an apparent assassination in 2013 – proposed that its “liberation for all” rhetoric must include women’s liberation, too. Today the party’s political agenda explicitly recognizes religious minorities, dissidents and women as the crux of democracy. In the the autonomous Kurdish regions of Iraq and Syria, women have the same legal rights as men. Indeed, the Iraqi Kurdish regional government has a higher proportion of women than United Kingdom – 30 percent versus 20 percent. The charter of the semiautonomous Syrian Federation of Kurdistan, founded in 2012, requires that women must hold a minimum of 40 percent of all government posts. Every Kurdish Syrian public institution must also have two co-presidents, one male and one female. 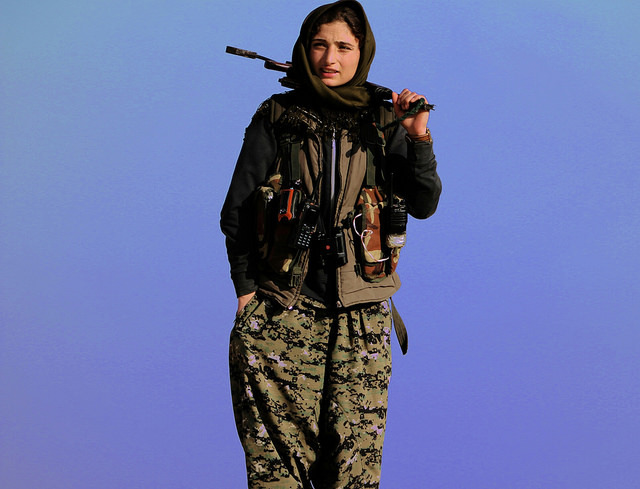 Women also make up 40 percent of Kurdish fighters deployed across the Middle East. 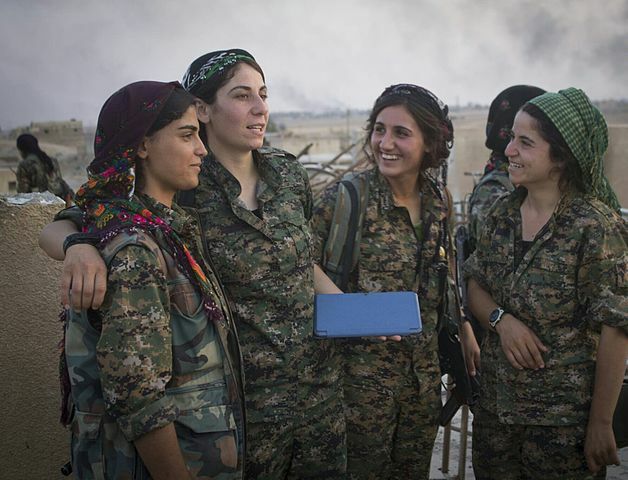 Today, more than 25,000 Kurdish women are deployed in Syria as the Women’s Protection Units, an all-female militia inspired by the KPP’s feminist liberation ideology. In contrast, about 14 percent of the U.S. military service members are women. Female Kurdish troops played a crucial role in rescuing the thousands of Yazidis trapped by ISIS on Iraq’s Mount Sinjar in 2014 and liberating the city of Raqqa from the Islamic State in 2017. Currently, women are on the brutal front lines of Afrin. Their prominence has caught the eye of the international media. But, in my opinion, the reporting has not accurately reflected the complexity of Kurdish feminism. State media in Turkey and Iran, for example, often reflect the government’s view that female Kurdish guerrilla fighters are man-hating terrorists. Western reporters, on the other hand, may portray Kurdish female fighters as oppressed victims of a backwards culture who are looking for an escape. Others outlets focus on their looks. In 2014, British papers dubbed fighter Asia Ramazan Antar the “Kurdish Angelina Jolie,” neglecting the relevant fact that Antar had been forced into marriage as a teenager. That’s because despite the relative freedom of women in Kurdistan compared to elsewhere in the Middle East, gender norms are not entirely equal there, either. And, in my experience, feminist debates like equal pay for women and #MeToo aren’t yet a topic of conversation in Kurdistan. Historically, too, it’s noteworthy that many famous female Kurdish leaders succeeded only because their empowerment did not challenge the male establishment. But she originally rose to power because she inherited the position when her husband died. While ruling Halabja from 1909 to 1924, she did not push a women’s rights agenda. Kurdish women who were seen as threats to male authority have often been punished, sometimes with death. That’s what happened to the very first woman to fight in the Kurdish army. Margaret George Shello quickly rose up among the all-male ranks in the 1960s to lead troops in the Kurdish war for independence from Iraq. She was murdered in 1969 under mysterious circumstances. Some historians believe that Shello was killed by her lover because she rejected his marriage proposal. Others say she was assassinated by the Kurdish leadership, which feared her growing influence. Either way, Shello’s murder speaks to the battles Kurdish women still fight today. It’s meaningful that in the Kurdish language the word for woman – “jin” – shares a root with the word for life: “jiyan.” And both jin and jiyan are related to the word “jan,” or labor pains. 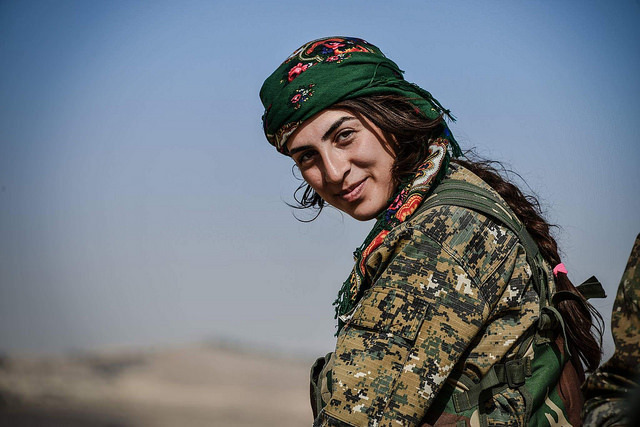 In a region surrounded by threats – from Turkey’s attacks and Islamic State terrorism and patriarchy at home – the women of Kurdistan are fighting for their life and liberty. And the cost is hard, dangerous labor. This report prepared by Haidar Khezri, Adjunct Assistant Professor at the Department of Central Eurasian Studies (CEUS), Indiana University for The Conversation.